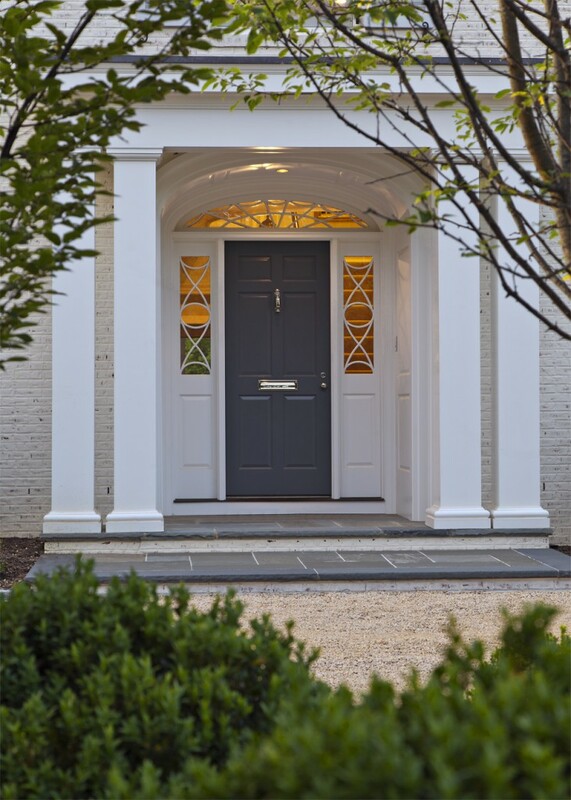 Disguised as a center-hall Colonial home among its historic neighbors in Chevy Chase MD, this new home successfully appears as though it was “always there”. 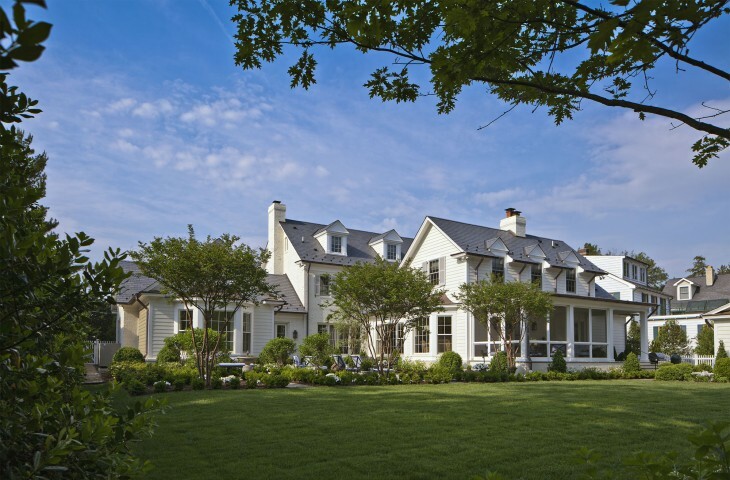 The owners wanted a new home with which they could age-in-place as their large family grew-up. 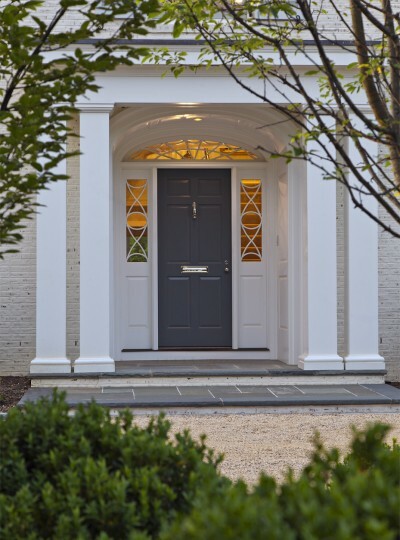 Inspired by the vernacular tradition of house additions and renovations over time, the owners sought a design solution to replicate that exterior appearance. A ground floor master bedroom suite and other modern-day floor plan conveniences occupy the irregular appendiges of this unique “L” shaped floor plan. 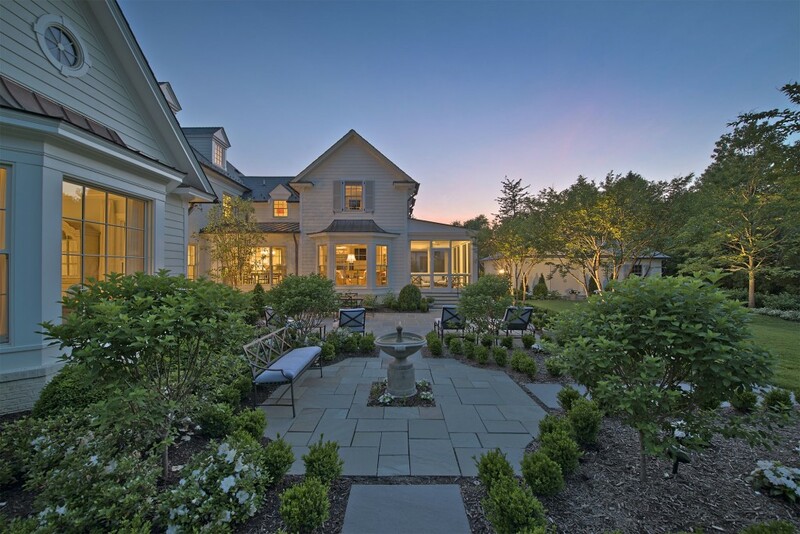 The handsome exterior and inviting entry portico provides shelter from a busy front street – to a serenely landscaped rear yard. This house achieves a decades-old appearance through the selective use of whitewashed brick, aged copper, slate roof and time honored traditional detailing.